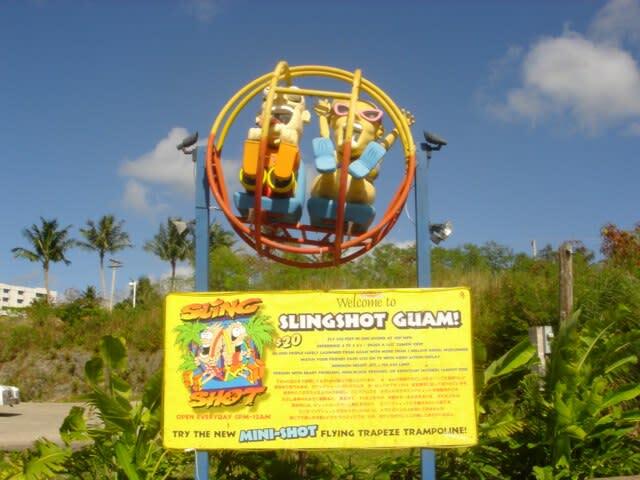 The GUAM SLINGSHOT is powered by a unique spring machine which applies over 40 tons of force to 250 springs. 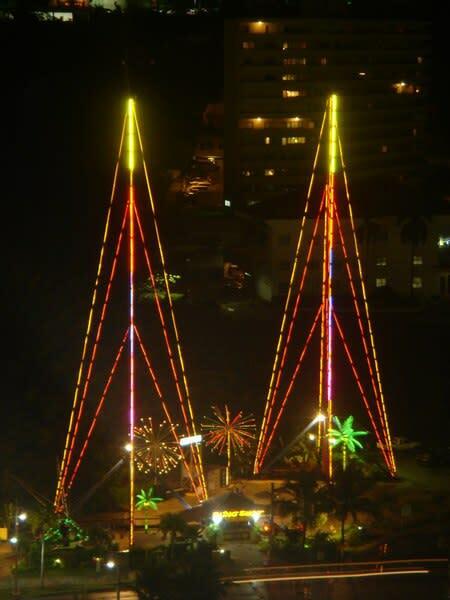 This innovative amusement device is by far the most exhilarating vertical attraction available today. 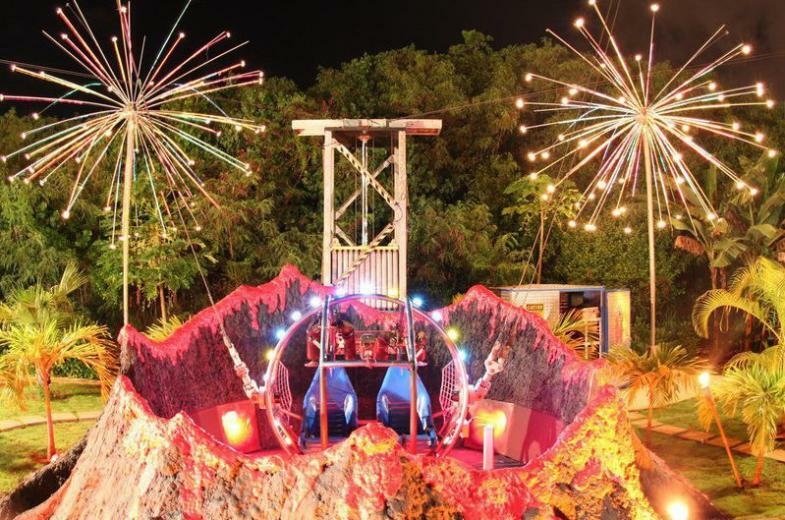 Passenger's experience 6 G's of acceleration to 0 gravity, attaining heights of 230 feet and reaching speeds of up to 100 mph. 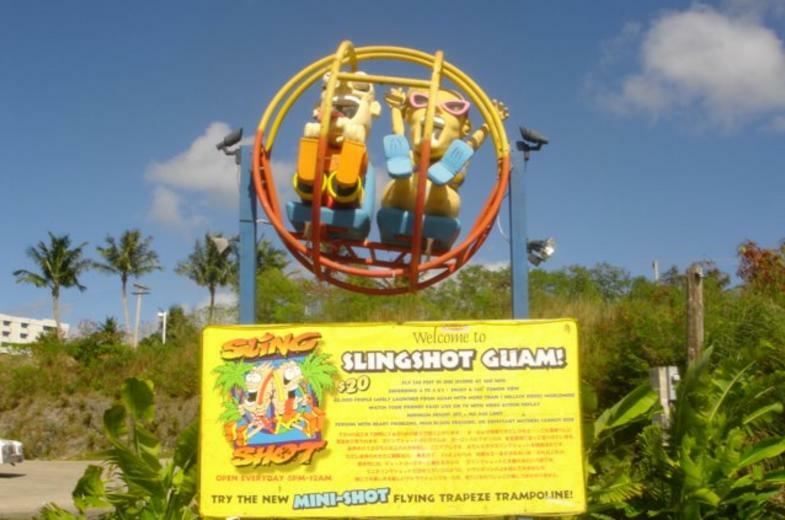 Designed and patented in 1996, the Guam SLINGSHOT was first introduced to Guam in 2001. It is the 1st model in the Asia Pacific. Twenty SLINGSHOTS now operate in the USA with 40 more operating in Europe and Asia. 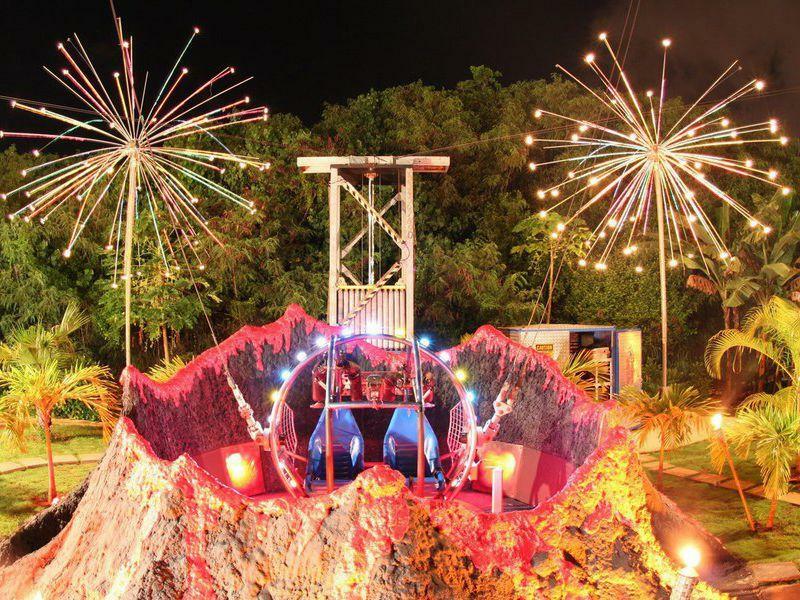 This Guam tower model known as the Water Tower 2003 has been specifically designed for Guam conditions. The base of the tower is filled with water adding an extra 5 ton to each tower base. To add more strength during Typhoons 100 TONS of reinforced concrete and steel was added to strengthen the foundations. The SLINGSHOT has been manufactured, approved and certified by German TUV and American ASTM standards. 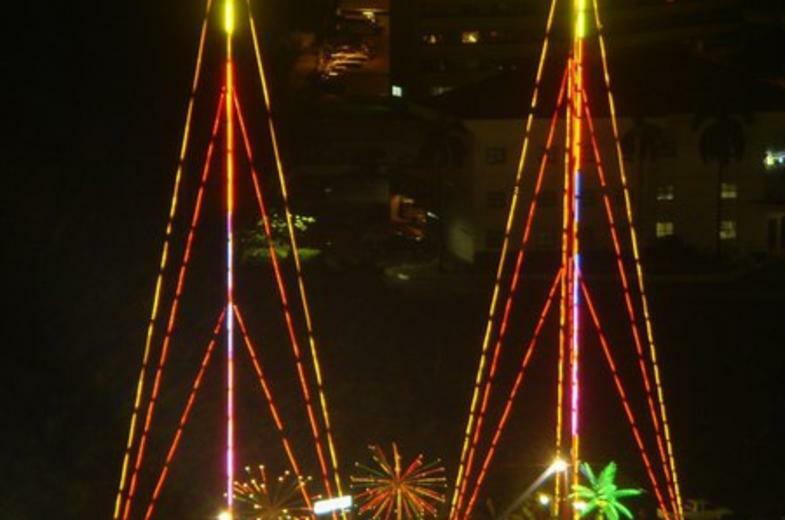 Wherever you are, you can rely on the SLINGSHOT to be approved for safe operation by local authorities in your country. So enough already...Get in, Sit down, Lean back and Hang on for the ride of your life...and remember to smile for the camera.